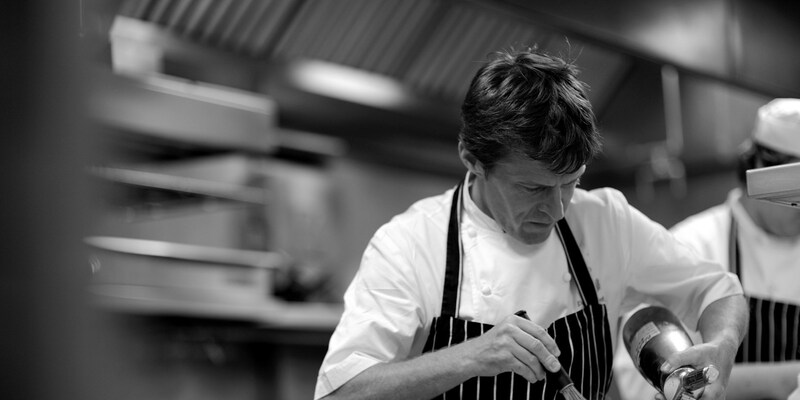 From a childhood filled with new flavours and handmade food to a professional career spanning Michelin-starred restaurants around the country, Michael Wignall’s efforts were wholeheartedly recognised at the two-Michelin-starred Latymer and Gidleigh Park. Taking the helm at Waldo’s Restaurant in Clivenden Hotel in Berkshire, he retained their Michelin star and achieved four AA rosettes. Following this was Michael’s Nook in the Lake District where he stayed as head chef for four years, retaining their four AA rosettes and Michelin star. Moving to The Burlington Restaurant at The Devonshire Arms in the Yorkshire Dales, he ran the kitchen here for five years, where only six months after joining he again secured a Michelin star and four rosettes. In January 2016, Michael left the Latymer for Gidleigh Park, in Devon, where he continued to wow diners with his effortlessly brilliant dishes. He retained the two Michelin stars by shaping the menu around his own incredible style of cooking, securing the hotel's reputation as one of the best restaurants in the UK. Two years later, at the beginning of 2018, he left Gidleigh Park to focus on his own venture – watch this space for news on his next restaurant. Michael believes it is incredibly important to put time and effort into training younger chefs in his kitchen. He will often push them to come up with their own dishes using just five ingredients to stimulate their creativity. Growing up in the Lake District means game holds huge nostalgic value for Michael, and makes a regular appearance on his menus. Michael's dishes go through an incredibly critical screening process before they make it onto a menu, often being tinkered about with daily for months until they're deemed ready.